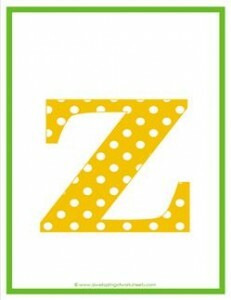 Lowercase z all polka dot and schnazzy is here to zip and sizzle you just as you finish the alphabet. There’s no stopping here! Go back to the polka dot a and start all over again.